This is exactly the same size as your standard 17, 18 and 19Ah golf batteries. However, with its extra 22Ah capacity, you are guaranteed more distance every time you play. QDoes this include the red and black wire connector to my charger or do I have to take it off my old battery? AThere´s no cable with this battery. You can either take the one off your old battery, or buy a new torberry connector. 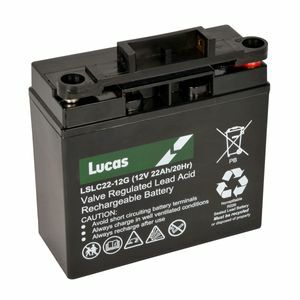 QWhat guarantee does this battery have? AAll golf batteries come with a 12 month warranty. QWill this battery fit powakaddy highway? APlease compare the dimensions of this battery to your old one. If the dimensions are the same then the battery will fit. QCan you tell me if this would fit my t bar charger. I have a power caddy.